Yesterday, I went with my friend, the lovely and talented Hope Tarr, to The Grolier Club here in New York to see the new exhibit, The Enchantress: Emma, Lady Hamilton. Founded in 1884, The Grolier Club is a private club for bibliophiles and enthusiasts of the graphic arts. It is America's oldest and largest club of its kind. To be a member, you have to be nominated, that just shows you how exclusive it is. Still the exibitions are open to the public and more importantly they are free. Since I wrote about Emma in Scandalous Women, I was eager to see the exhibition. Although the exibit is small, it is lovely. The exhibition features the collection of Jean Kislak who has spent years collecting manuscripts, books and art related to Emma and her era, including the events that shaped her life as well as the men who loved her, her husband Sir William Hamilton and her lover Lord Nelson. Among the many amazing items in the exhibit are oil paintings of Emma by Romney and Sir Thomas Lawrence, as well as the earliest known letter from Lord Nelson to Emma, written aboard HMS Vanguard just before the Battle of the Nile. Although Nelson had asked Emma to burn his letters to her (he had burned hers to him) she kept them. The Kislak has 11 of those letters. There's something about seeing original letters in the handwriting of a historial person to make them seem oh, so real. They are no longer just the inanimate object in a dusty book, but real, living breathing people. There's a portrait that I've never seen of Emma in her wedding dress, and what I found most fascinating of all, their daugher Horatia's crib. I can't imagine how Jean Kislak managed to find that. According to the information sheet, Jean Kislak has spent more than 25 years putting together this collection. In addition to the letters which are numerous, not just between Emma and Lord Nelson, but from Sir William Hamilton to his nephew Charles Greville, Emma's previous lover. There's also a portfolio of prints of Emma in theatrical poses, first editions of what was reported to be her memoirs, her financial papers, and a silver pill box with Nelson's portrait in cameo. I could have spent hours in that room just staring at the objects. I've never felt closer to Emma than I did in that room. Her story breaks my heart, no matter how many biographies that I read. Even more touching was that Jean Kislak paid for a memorial to be put up in Calais where Emma died and was buried. Her grave unfortunately is lost to history but admirers of Emma can now have some place to go just as Nelson fans can go to St. Paul's Cathedral to see his tomb. I wish I had known about the exhibition sooner because Flora Fraser, one of Emma's biographers gave a talk in February. There is an illustrated catalog available for the exhibition, it's $35 for non-members but totally worth it. The exhibition will be at The Grolier Club through April 30th. It's a bit too far for me, shame as it reads well. Sorry you can't take a trip to NY to see the exhibit, it's really wonderful. It was really wonderful. The compact scale of the exhibit--one large room of glass display cabinets--makes it easy to breeze in and out or to take in the artifacts and artwork at your leisure. Like Elizabeth, seeing the handwritten letters really touched me in a very real way. They are remarkably well-preserved and Nelson's in particular, owing to his fine penmanship, are still quite legible, so one need not rely entirely on the translated typed note cards. Because it was a weekday, we also had the place to ourselves practically. I could almost imagine that this was my personal collection. The time and effort, plus the money it took to put together this collection, made it all the more astounding. That's money put to good use in my humble opinion. Wonderful learn, I just handed this onto a colleague who was doing a little analysis on that. And he really bought me lunch as a result of I discovered it for him smile So let me rephrase that: Thanks for lunch! Anyway, in my language, there aren’t much good supply like this. From its opening sentence--"Scandalous Women isn't history, it's herstory," Mahon sets a tone of whimsical accessibility that will be appealing to some and repellent to others. 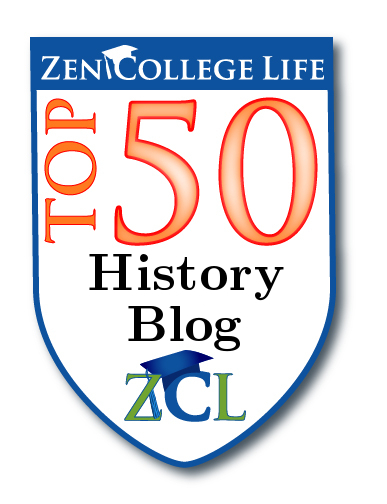 Most of the historical women covered here are discussed largely in the context of the men in their lives, from Anne Boleyn to Frida Kahlo to the brilliant mathematician and physicist Emilie du Chatelet, who is first identified as "Voltaire's Mistress." This is Feminist History for Dummies, with a snappy no-frills style that allows the author to cover ground and bring in lesser known females like Carry Nation, president of the Women's Christian Temperance Union in 1900, who busted bars to bits with an axe and inspired others to do the same. As a crash course in women's history, readers could do worse. 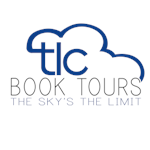 FTC Regulations require that book bloggers disclose how they acquire the books that they review. Any book that I review here on Scandalous Women has either been sent to me by an editor, author, or publisher unless otherwise noted. An intriguing look at the post-modern women who are redefining what it means to be Royal. Have any requests? Email me at scandalouswoman at gmail dot com. 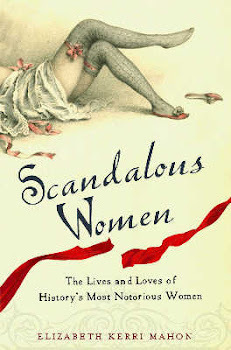 Publishers and authors if you have written a book about a Scandalous Woman and want me to review it or if you would like to be a guest blogger, email me at scandalouswoman@gmail.com. 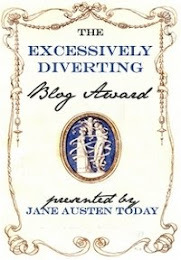 Readers if you have a suggestion for a Scandalous Woman, or a comment, I would love to hear from you.